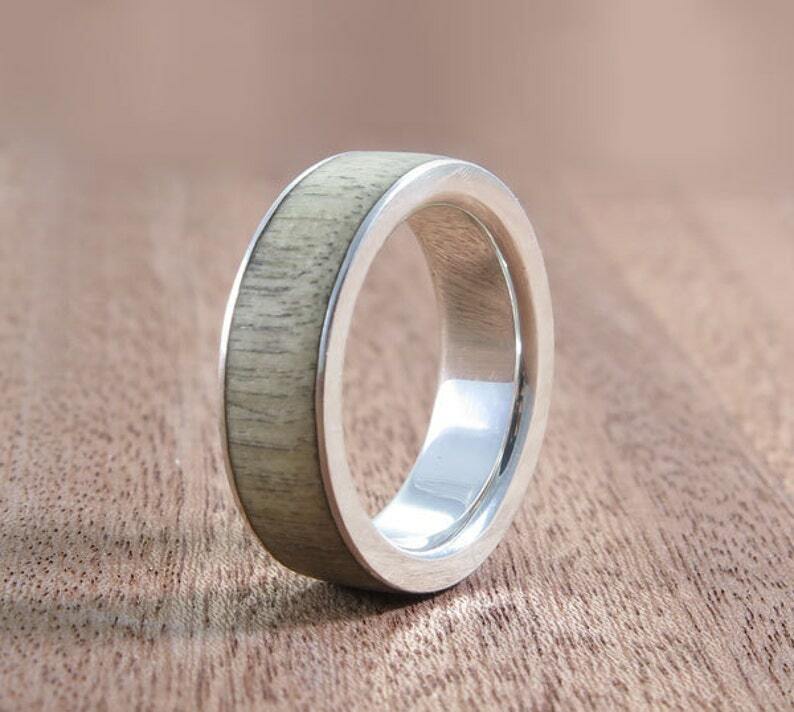 This listing is for a beautiful Silver with Light Wood ring made to order. Original and One of a Kind ring is absolutely handmade by me Voochee. All of my rings are handcrafted, no lathe is involved! *** Each ring is OOAK because it is handmade, so the finished ring by your order may slightly differ from the one pictured. If you wish I can take a picture and send it to you before shipping, so you can see your ring! (please leave a note when you checkout). Wonderful gift or wedding ring. *** Please pay attention: this ring can’t be re-sized , because of the character of materials that used! This is very important to choose a correct size (you can check it exactly by local jeweler or two-to be sure), for a very wide ring the size will be +0.5 US size or larger (please keep it in mind). *** I love to make custom orders if you wish something special, another combinations, width or design, wedding rings set ... ect. *** The order of ring will normally be ready in 3-5 days. *** Shipping usually takes 7-21 business days. I send your order by registered airmail with tracking number. *** If you have any questions, please feel free to contact me anytime!